Available up to 8 in. 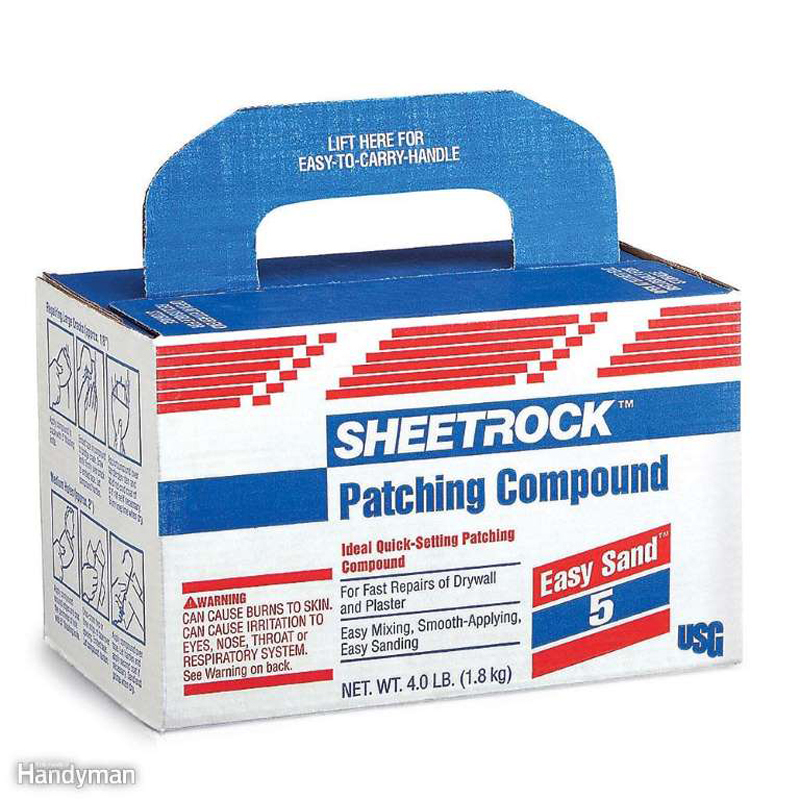 square, these stiff metal patches eliminate the time-consuming process of squaring a hole, putting in wood backer boards, and buying, cutting and taping the drywall. For mysterious, quantum-mechanical reasons, the screws that hold handles and doorknobs always eventually work loose. 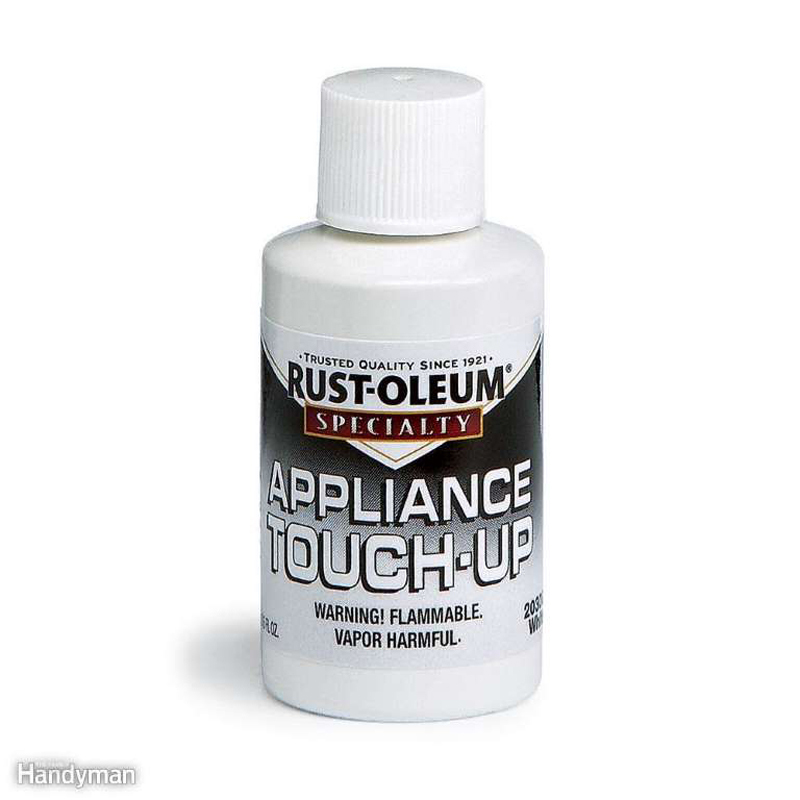 A few drops of thread-locking compound will permanently fix the problem, yet still allow you to remove the screw with ordinary tools if you need to later. 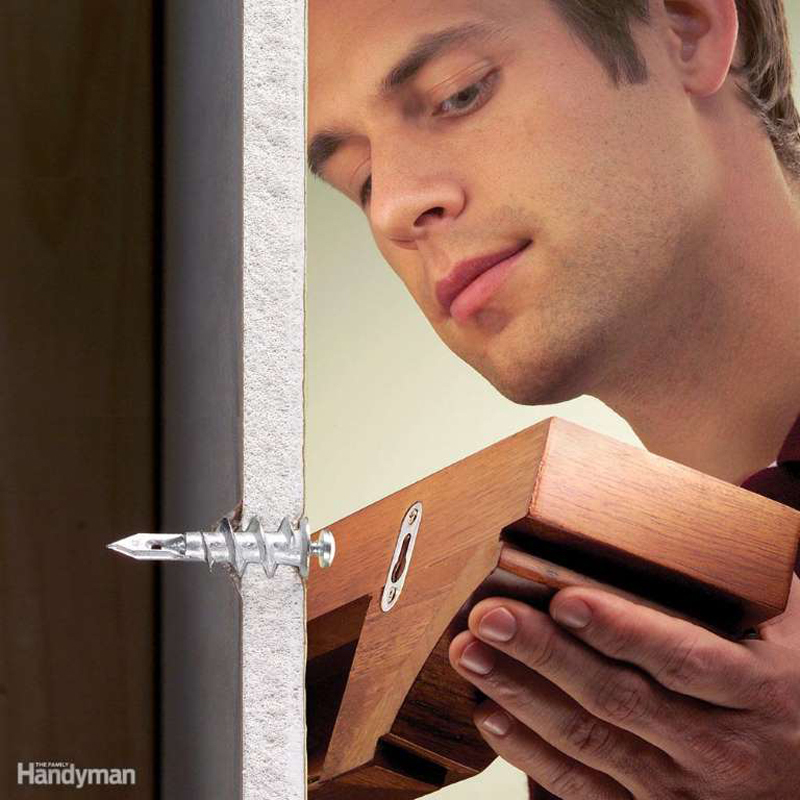 No matter what you have to fasten, inside or out, there's almost always a drywall-style screw that can handle it. With thin, hardened shanks, aggressive coarse threads (fine threads are just for metal studs), and deep Phillips or square-drive heads, these screws are tough enough to drive into most woods without stripping or breaking, and usually without predrilling. 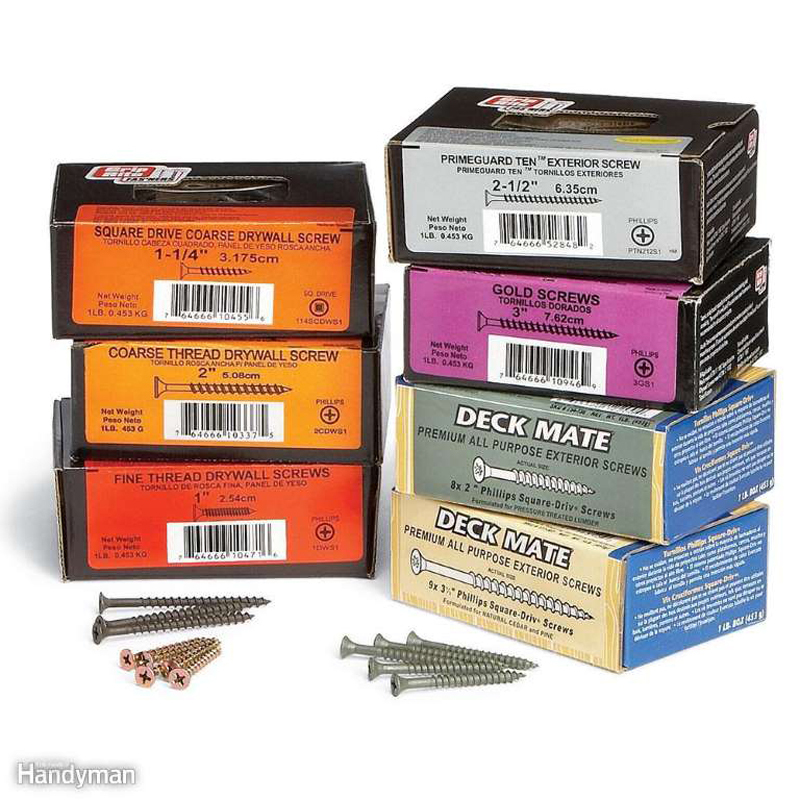 Most pros keep a selection of coated exterior deck screws on hand for dependable fastening even in treated wood, and black, coarse-thread interior screws for everything indoors?along with a few stainless steel and gold-colored screws for special repairs like replacing stripped-out brass hinge screws. 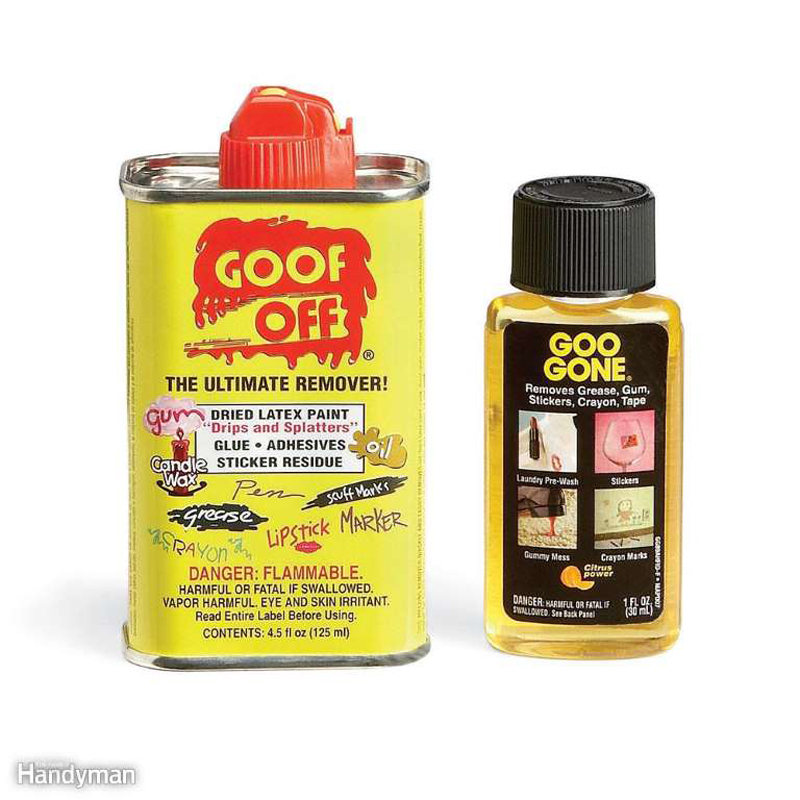 Remove stickers, tar, gum, dried paint drops, grease and a host of other unwanted substances quickly and without a lot of frustrating scrubbing by using a general-purpose cleaning solvent. They're a little stinky, but they make short work of nasty, gummy messes like price tag adhesive residue. 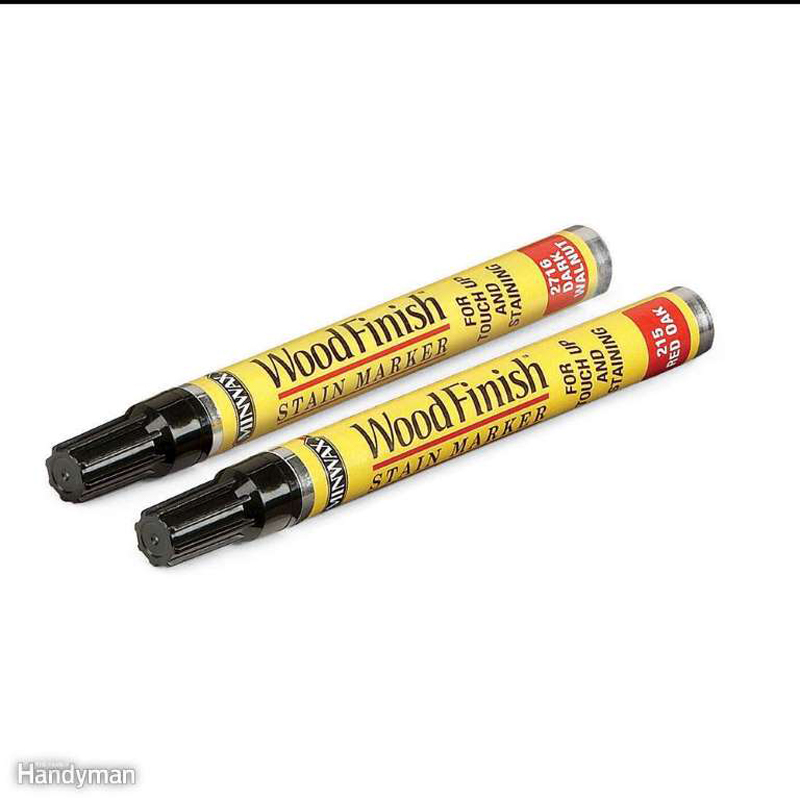 For a quick bead of caulk without having to work a caulking gun, get Flex Shot! It's as simple as pressing the small trigger on the canister. 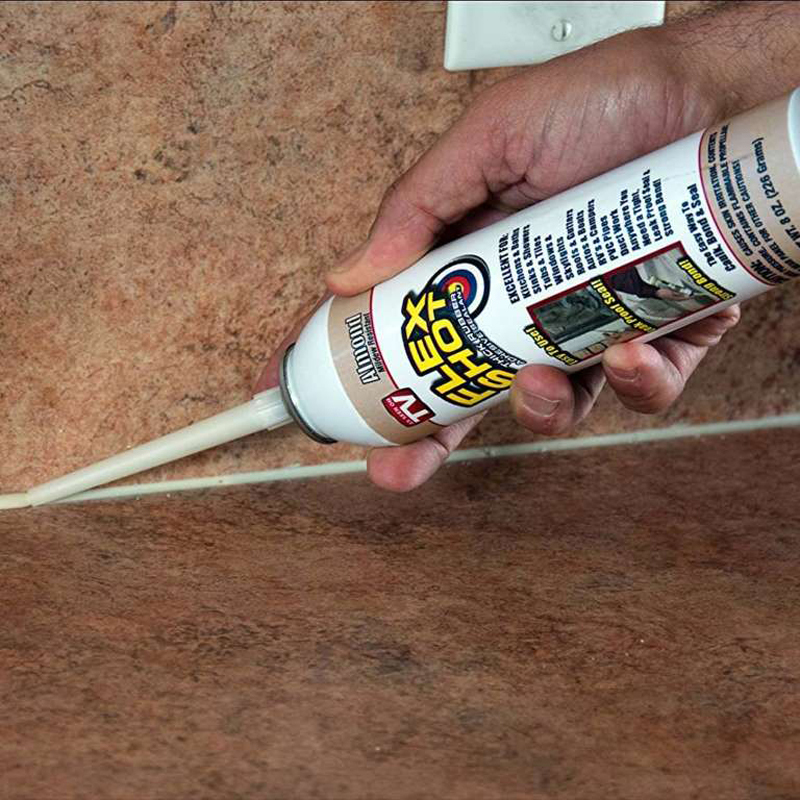 The narrow tip at the end of the long nozzle will release an accurate application for you to apply around sinks, tubs, toilets, window frames and more for your waterproof sealant or adhesive needs. Bumpers do lots more than just stop cabinet doors from banging. 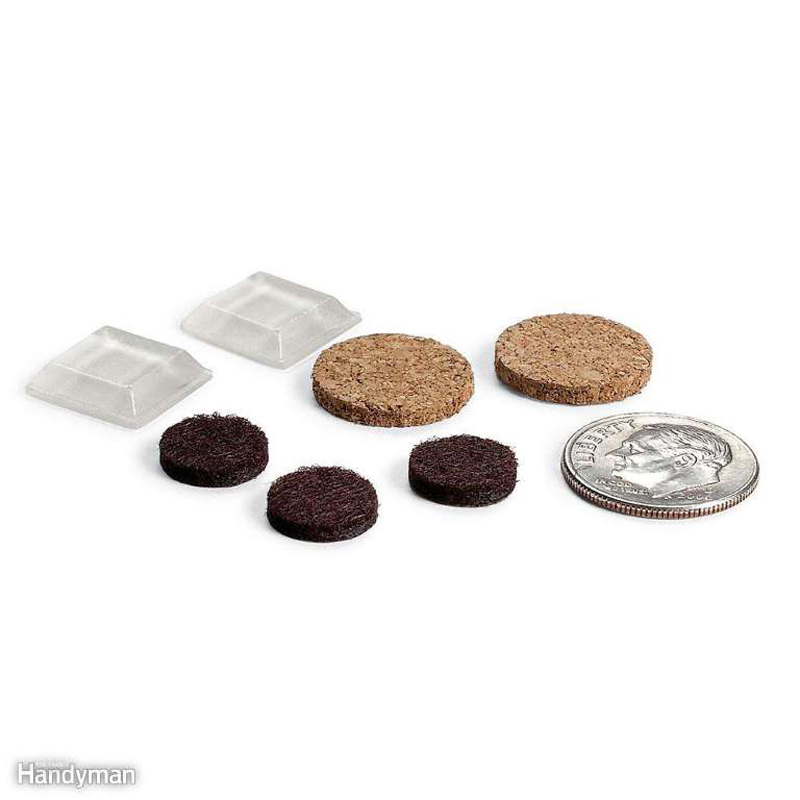 Stick them under ceramic pots or hot plates to keep them from scratching tabletops; silence a rattling toilet tank lid by placing them at the corners of the tank; even stick them on a doorstop if you have a door that rattles because it's too loose. Note: Use felt bumpers on varnished wood surfaces. The plastic types can eventually leave marks. A hole in wood or drywall from a loosened screw is a very common problem. Fix the stripped screw hole with these Mr. 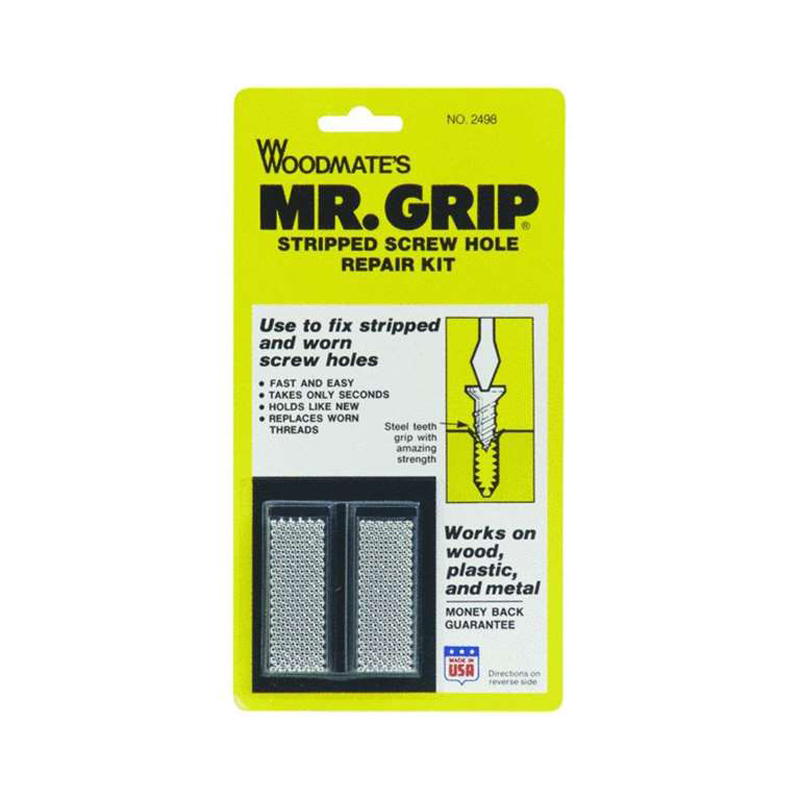 Grip steel mesh strips that can be cut to your desired size and placed over the hole before putting the screw back in. This will ensure proper traction and holding power. Two-part filler has to be mixed and it doesn't rinse off with water, so it's not as user friendly as other fillers. However, it's much tougher and a much better choice for any hole bigger than a nail head, especially outdoors. And it's not just for wood?you can patch metal, fiberglass?even concrete. 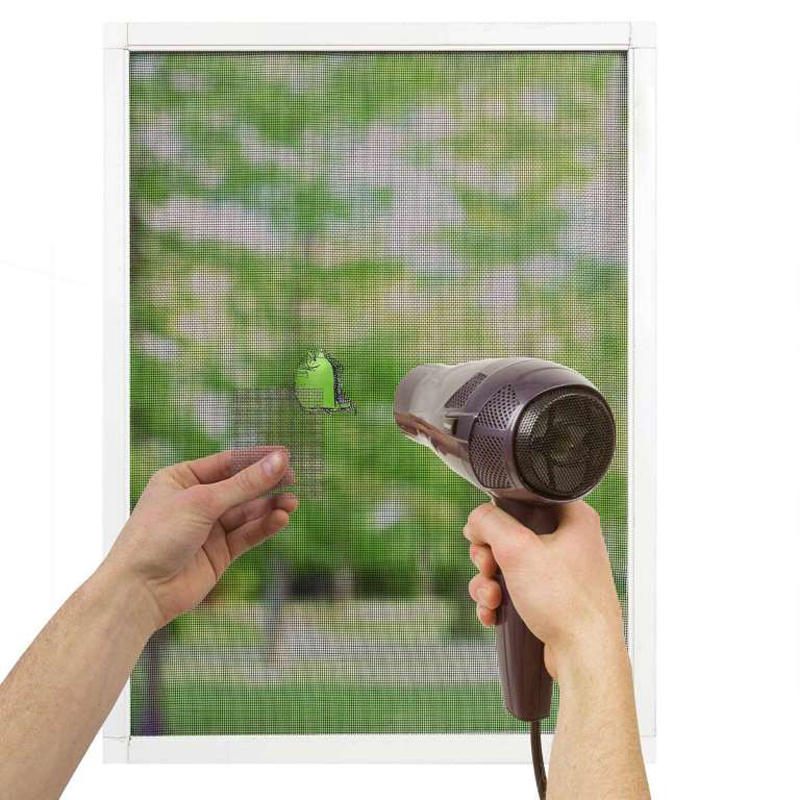 Whether it's bugs you're worried about or burglars, Screenmed allows you to mend rips and tears in window screens, screen doors, tent mesh, pool screens, RV screens and more. It's a simple and easy application that only requires heat from a hairdryer! 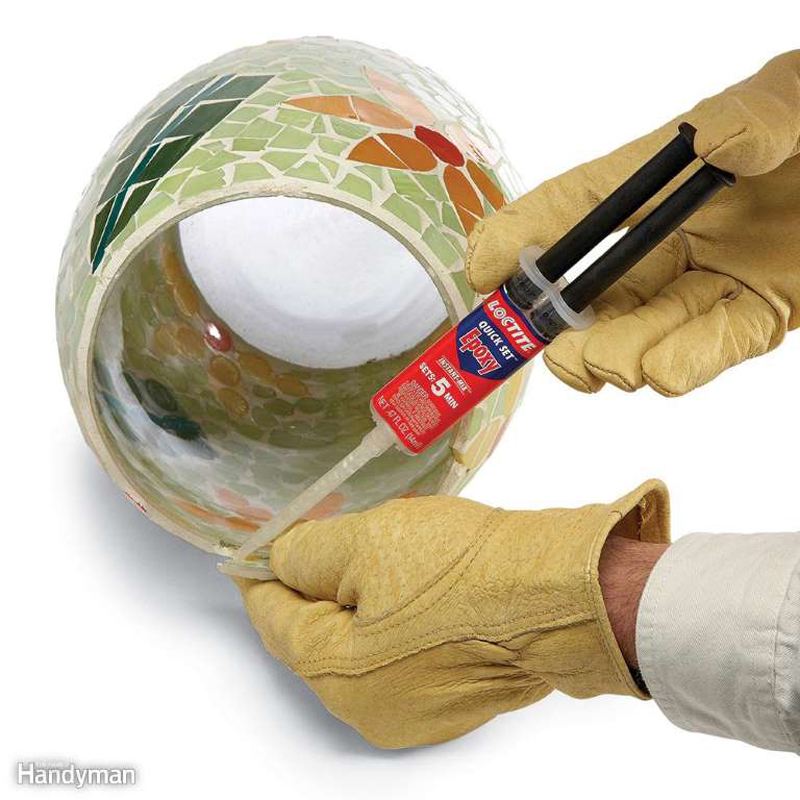 Two-part epoxy glue is rock-hard, fills huge gaps, bonds to almost anything and dries very quickly. Some brands now come with an applicator tip that automatically mixes the two parts so you can spread it like a regular glue, without mixing. 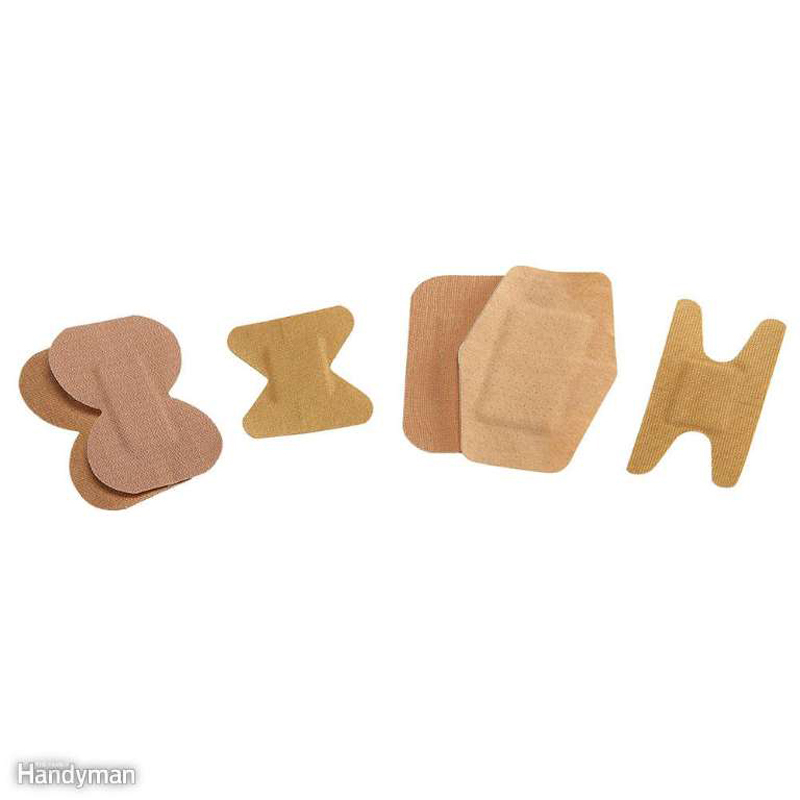 It's perfect for gluing irregular shapes and dissimilar materials to each other. 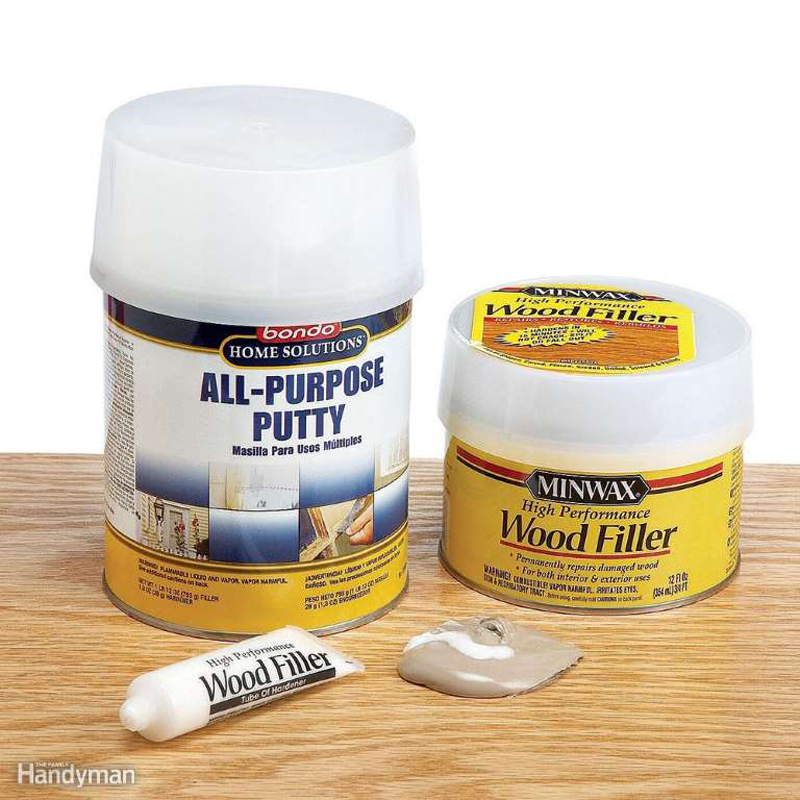 Most epoxies set in five minutes, but you can buy quicker-setting types that allow you to just hold pieces in place for a minute, without any clamping. 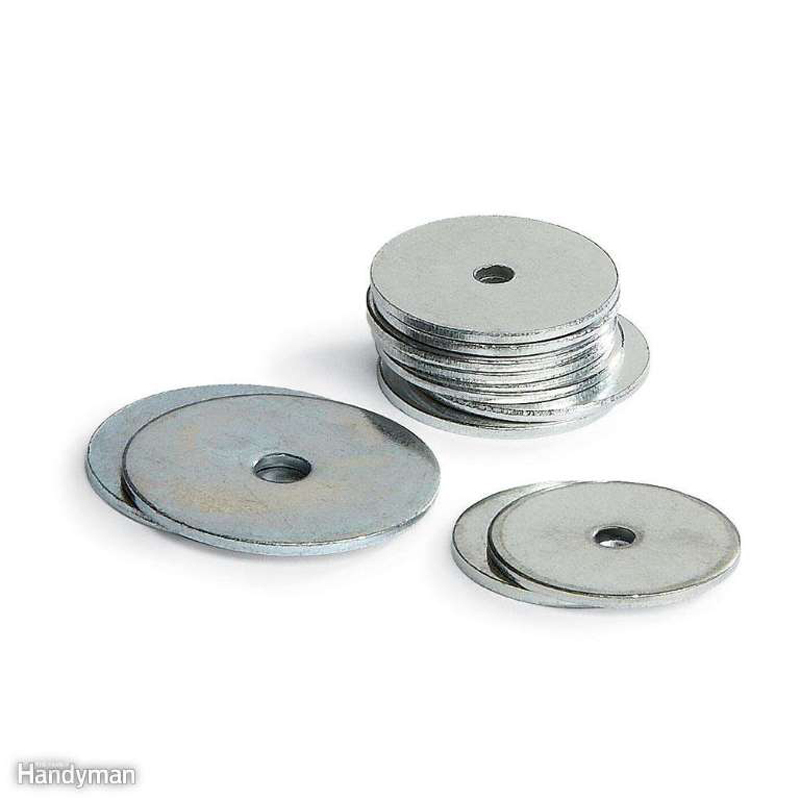 Keep a package of assorted fender washers in your toolbox and pretty soon you'll wonder how you got by without them. 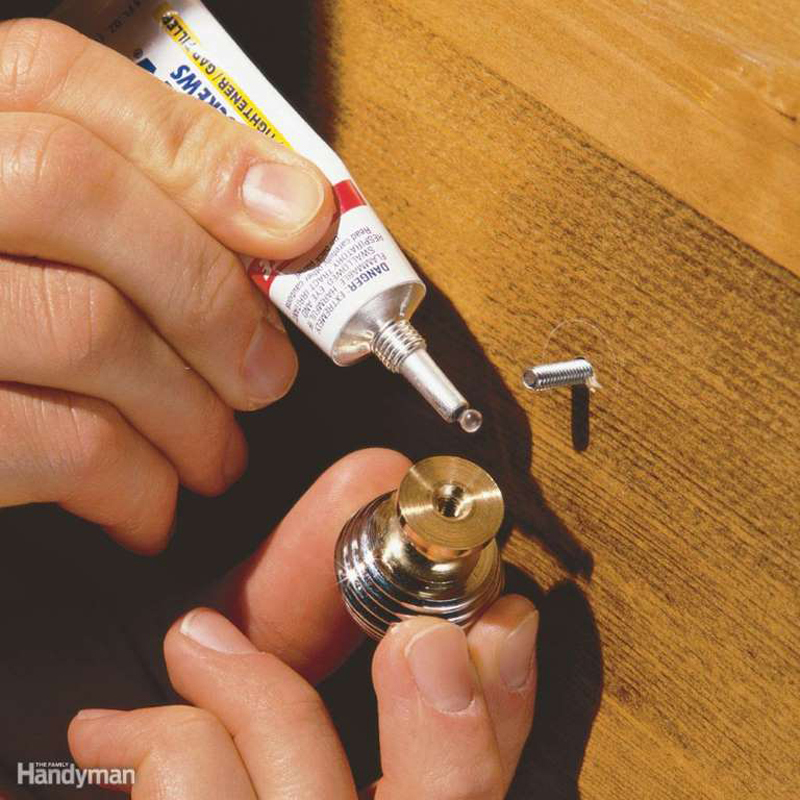 DIYers working on jobs with multiple loose fasteners will love this product. Rather than spending precious time looking around for your spares, keep everything within arm's reach (pun intended!) 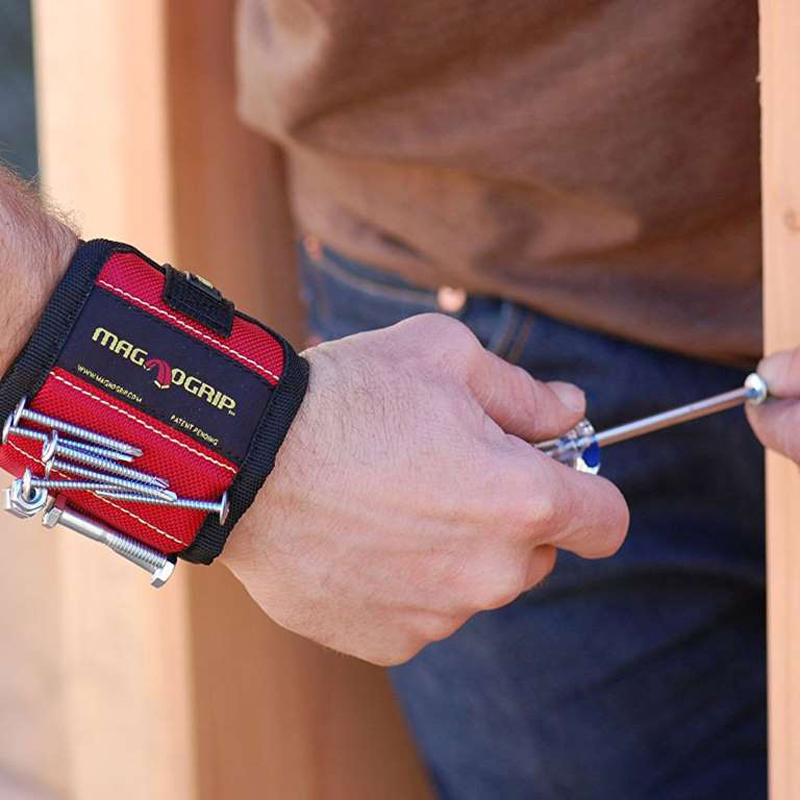 by holding onto small parts like fasteners, drill bits and small wrenches on the MagnoGrip wristband. The first time you use one of these, you may just throw away all your other anchors. They drive in easily without predrilling and they hold firmly, just as they're supposed to. And you only need a screwdriver to put them in. The light-duty type shown is perfect for hanging lighter shelving and artwork. Use the toggle bolt?type for heavier shelving, towel bars and curtain rods. 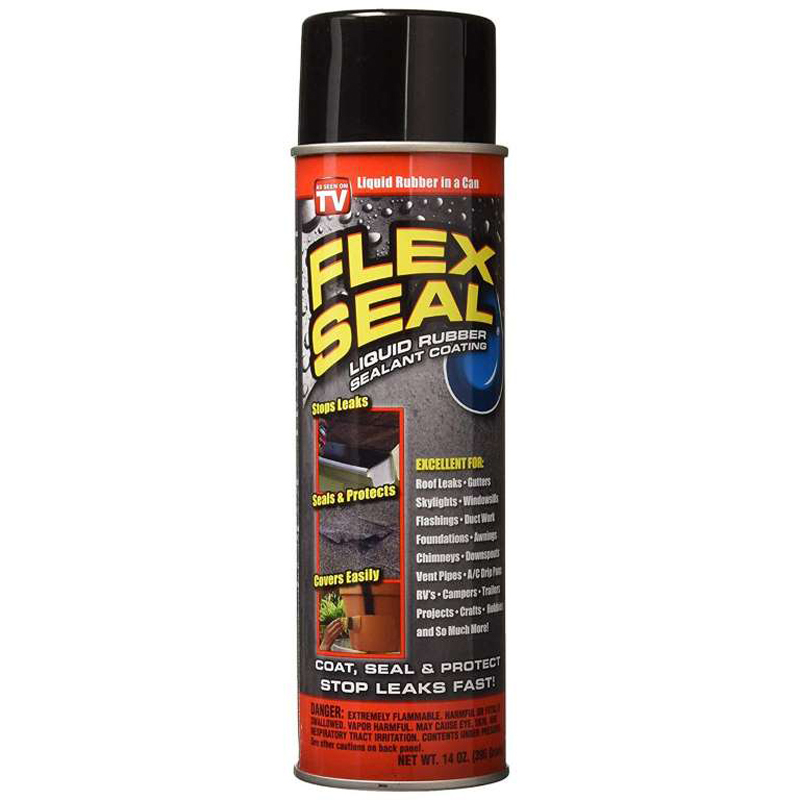 Flex Seal's liquid rubber coating transforms into a durable waterproof barrier. Once sprayed, it seeps into cracks and holes, eventually drying as a rubberized coating. It's the perfect DIY product for quick fixes when you need to keep out water, air and moisture while preventing rust and corrosion. 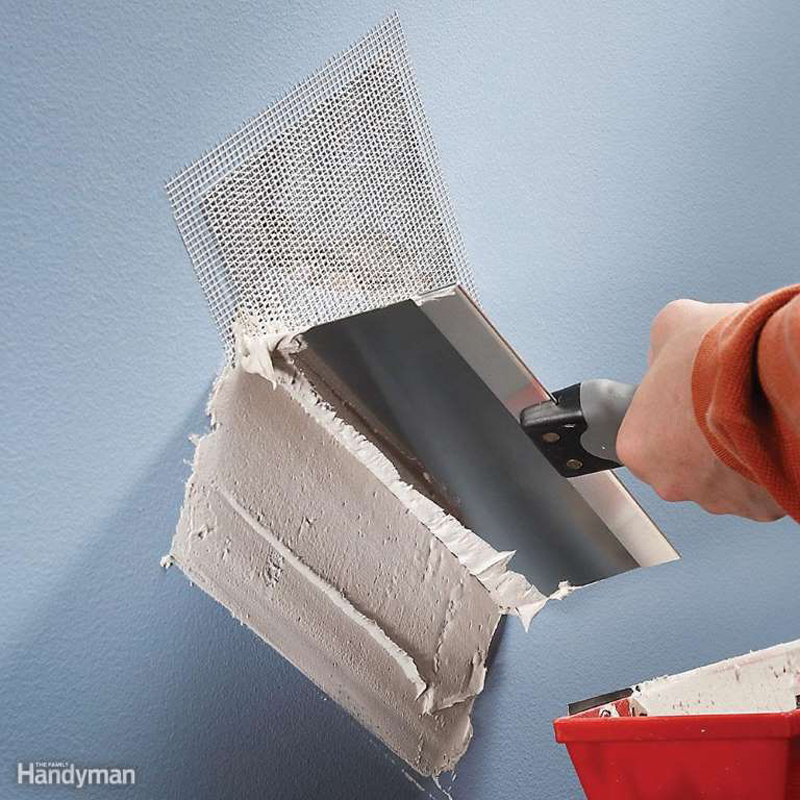 Quick-setting drywall compound lets you finish small repairs and fill deep holes in minutes instead of waiting days for premixed joint compound to dry. The small boxes are available in most home centers and paint stores are also easier to store and more likely to get used up than large bags or buckets. What do you do when you get tiny tears or holes in your beautiful leather couch to car seats? Don't panic! 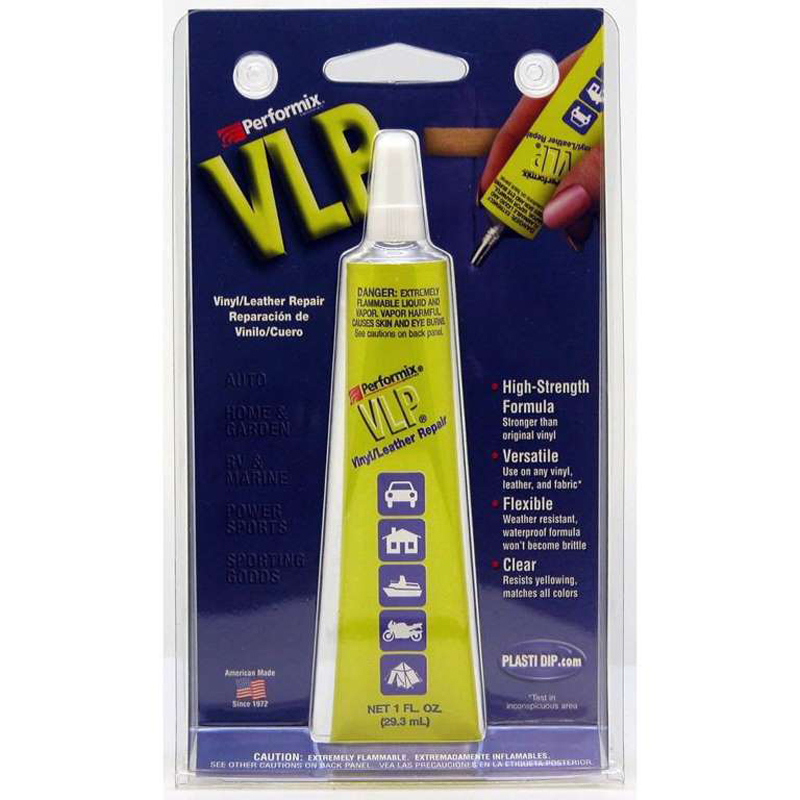 Extend the life of these and other leather and vinyl items with Plasti Dip VLP, a clear, glue-like substance that will mend the damage in no time. Silicone dries quickly and invisibly and doesn't attract dirt, making it a good lubricant for drawer rollers, window tracks, door locks, bike parts, and other plastic, metal and rubber surfaces. It also helps protect metal against rust. 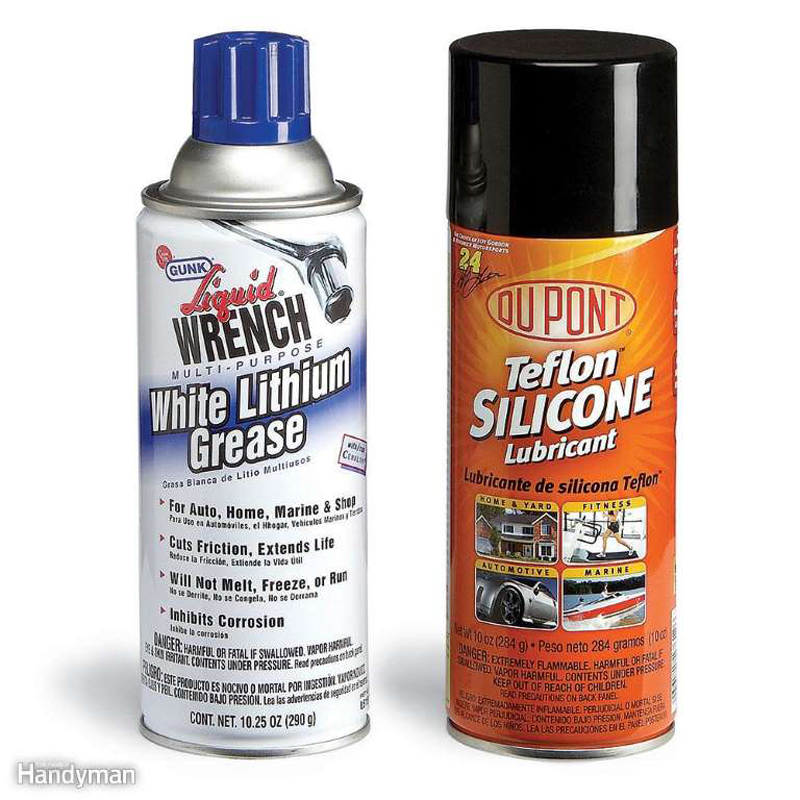 Lithium grease is a long-lasting, weather-resistant (though somewhat messy) lubricant for garage door tracks, car doors and latches, and other metal parts that get heavy use outside. Every time that screen door squeaks or that stubborn drawer sticks, you cringe a little, right? The noise! The extra effort! 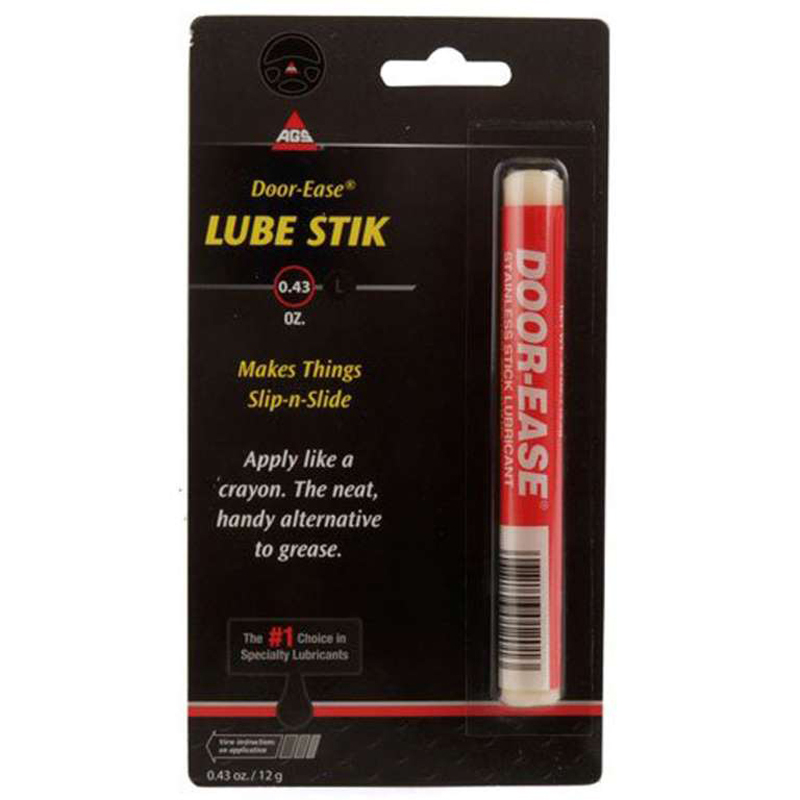 For a quick solution, try AGS DE-2 Door Ease Lube Stick. It's a small and simple product that can be applied like a crayon to eliminate those squeaks and ease up those sticking drawers. This versatile product works on sliding door and window channels, curtain rod slides, latches, doors, drawers, zippers, sunroofs, seat tracks, screws and nails, plus power and handsaw blades Have a squeaky floor? Fill the gap and stop the squeak! Natural or stained woodwork is beautiful, but scratches can really stand out, especially with darker stains. You can make these scratches disappear by touching them up with a stain marker. 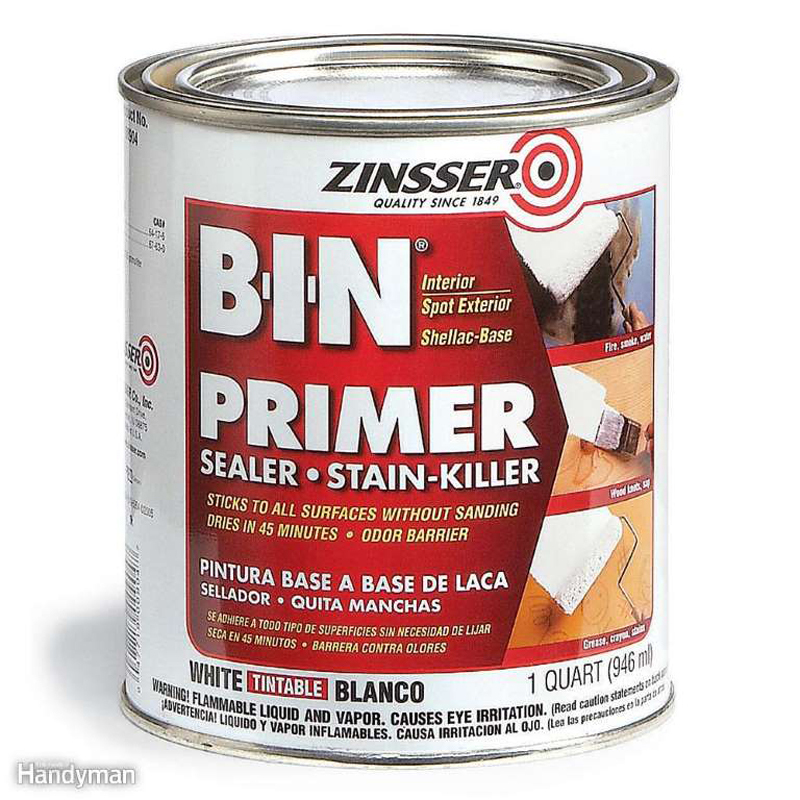 It's simple to use, and much cheaper than buying whole cans of stain. A simple scratch on your beautiful wood furniture can stand out like a sore thumb. While you might consider sanding and refinishing the scratch, that takes a lot of time and effort and you may not be able to make the original stain color. 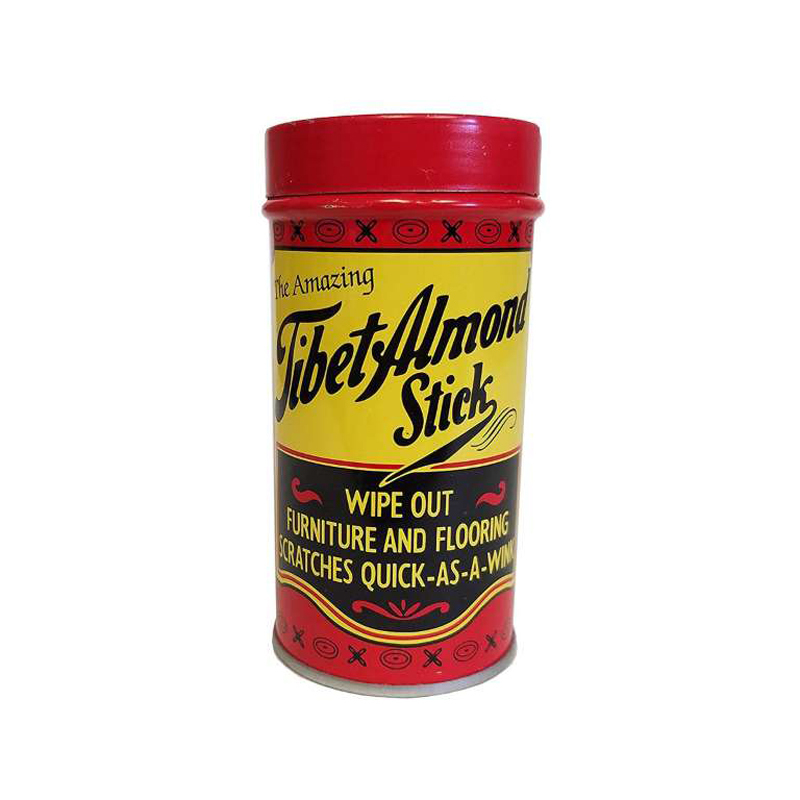 Instead, repair it with Tibet Almond Stick Scratch Remover. It's a tightly-rolled stick of cotton that has been soaked in a formula the company calls a 'family secret.' Watch the scratch disappear before your very eyes! 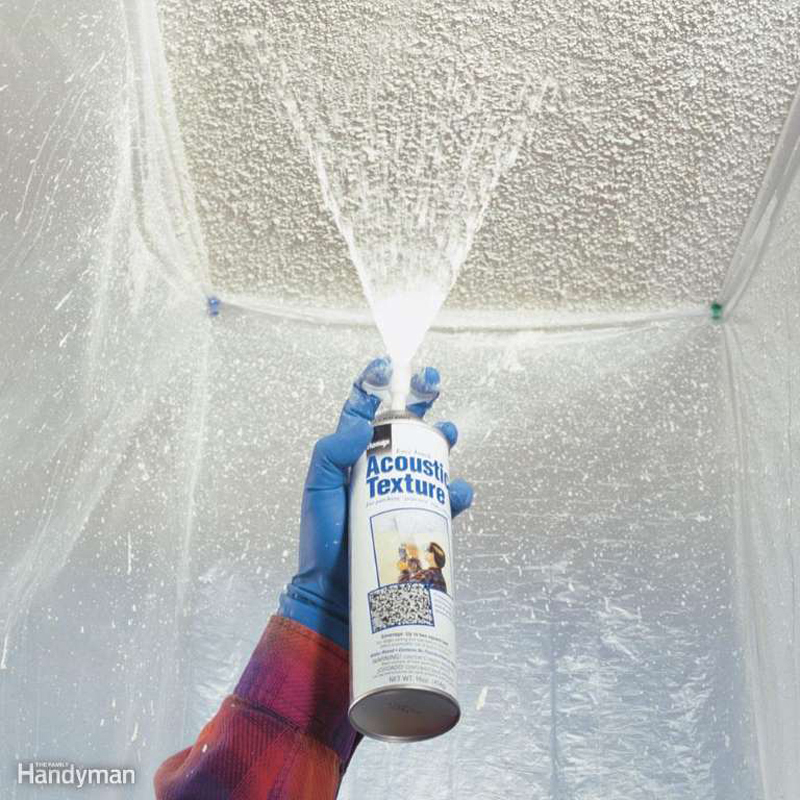 Sooner or later, every sprayed ceiling is going to get a water stain or a scrape. Spray texture in a can won't perfectly match every ceiling texture, but it's usually close, and a lot easier than respraying a whole ceiling. Before spraying, seal the patch with a stain-blocking primer, cover the floor and furniture, and practice your technique on scrap plywood or cardboard. It seems like a clog in the drain always happens at the most inopportune time. When this happens, many people grab a chemical drain cleaner and dump it down the drain, hoping it will dissolve the clog. But now there are nasty chemicals, that may not solve the problem, down your drain. And those chemicals are hard on your pipes, too. 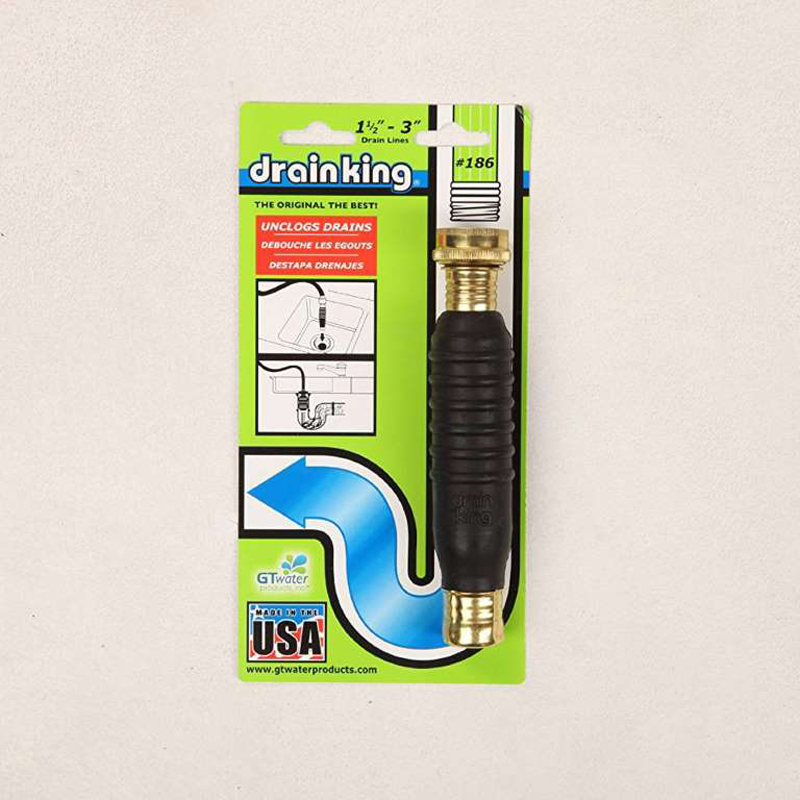 A safer and effective approach is Drain King, which attaches to a garden hose and is inserted into the drain where it uses pulsating jets of water to loosen up clogs. Here's a handy guide with much more on clearing clogged drains.Photo: Courtesy of The Drain King Disclosure: This post is brought to you by The Family Handyman editors, who aim to highlight products and services you might find interesting. If you buy them, we get a small share of the revenue from the sale from our commerce partners. We frequently receive products free of charge from manufacturers to test. This does not drive our decision as to whether or not a product is featured or recommended. We welcome your feedback.